Beautiful and spacious fully furnished two bedroom apartment of approximately 100 square meters in a beautiful monumental building in the middle of the beloved Jordaan. This apartment is very unique. 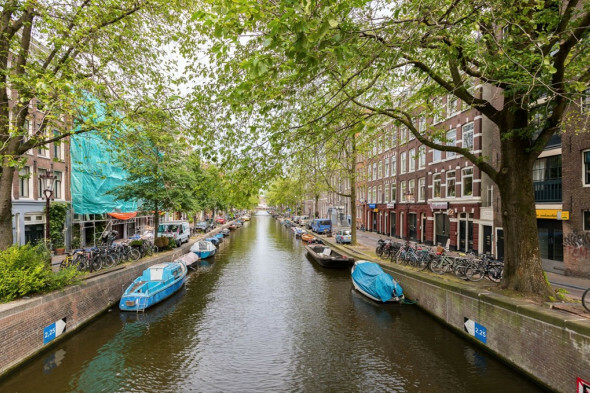 It offers great features such as three windows overlooking the canal, elevator lot of inbuilt storage space and a communal garden of approximately 30 square meter. The apartment is located on the 4th floor. The elevator brings you direct into the apartment on the 4th floor. At the front is the living room and open kitchen. The open kitchen is fully equipped. On the rare of this floor are the two bedrooms, bathroom and a separate toilet. 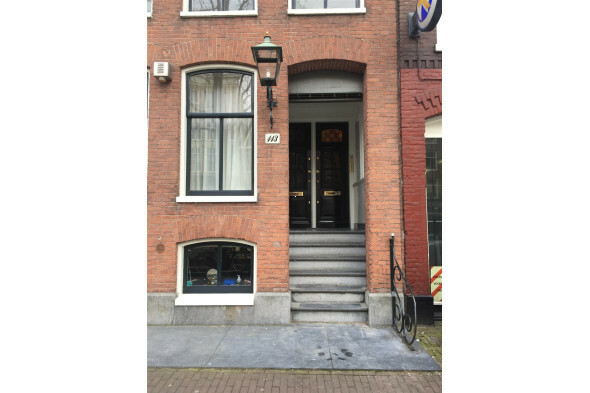 The apartment is located in the middle of the beloved Jordaan (centre of Amsterdam). Al the museums, restaurants, cafes and nightlife are in the neighbourhood and within walking distance. Also Amsterdam South and west and east are on 10 minutes cycling distance. The public transport connections are excellent.